Browse » Home » dd Freedish , DD Freedish Set Top Box , DD Freedish's New MPEG 4 Set Top Box For Free From Doordarshan , e auction dd freedish , icas , mpeg 4 » DD Freedish's New MPEG 4 Set Top Box For Free From Doordarshan !! 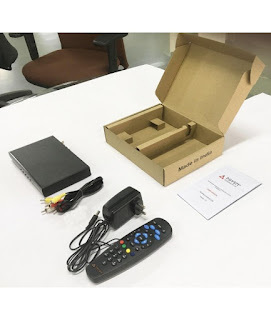 DD Freedish's New MPEG 4 Set Top Box For Free From Doordarshan !! Doordarshan is currently trying to move to new MPEG4 Technology. 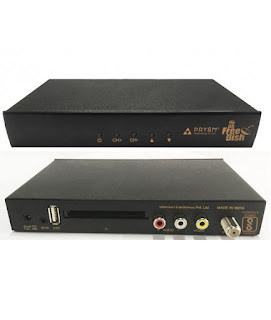 Currently, DD Freedish Users Are using Mpeg2 Set Top Boxes Technology which is really old technology. It is the only free-to-air satellite television service in India. After the upgrade, Gsat-15 satellite at 93.5° was used to broadcast 64 FTA MPEG-2 Channels and 29 radio channels. Almost 95% Users Of DD Free dish are using MPEG2 Set Top Boxe's and Remaining 5% Users using Third Party Chines MPEG4 Set Top Boxe's. DD Freedish Is Planning to Replace All Its Users Set Top Boxe's With There new DD Free Dish ICAS Enabled Prysm DVB-S2 SD MPEG-4 H.264 Set-Top Box. and Another Privet DTH Companies Like TATA Sky has been done this Thing Few Days Before While Upgrading There Technology They Replace All User's Set Top Box By Visiting User's Home For Free Of Cost Soon DD Free Dish ( Doordarshan ) Will also Planning For the Same Thing. Let's See The DD Free Dish ICAS Enabled Prysm DVB-S2 SD MPEG-4 H.264 Set-Top Box Specifications Bellow. By Using This Box you cant Tune Any Other Satelite this will work only on GSAT - 15. Thanks For Reading Friends Please Share This Information with your Friends.